One of the best things about the holiday season is the chance to get together with friends and family and enjoy some delicious food. 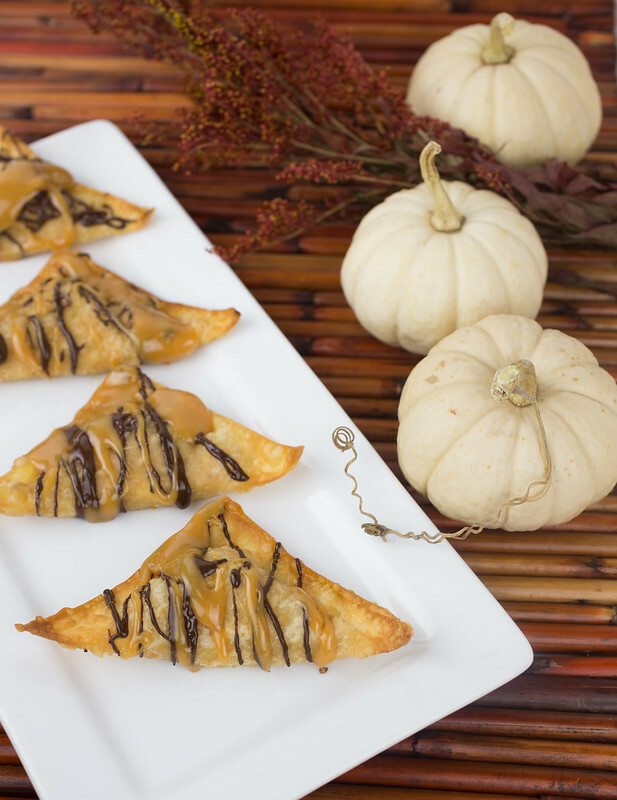 These Pumpkin Spice Caramel Wontons will be on our menu this year and I can’t wait to share them! 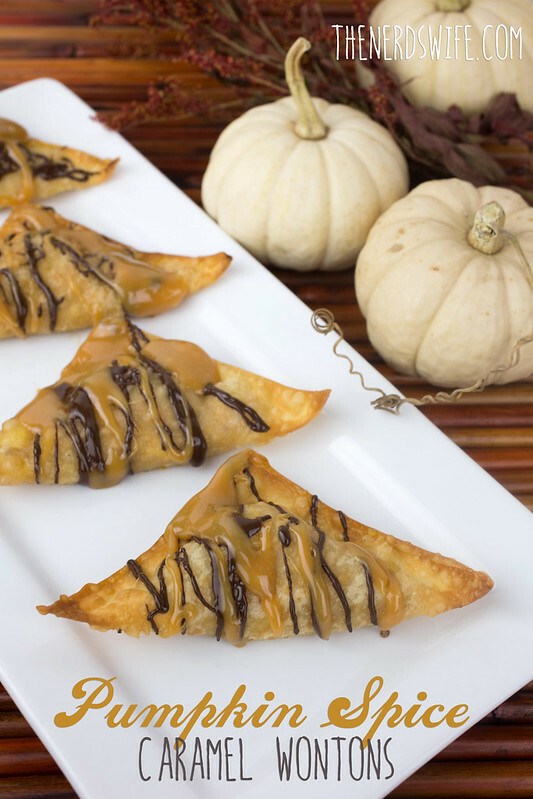 These Pumpkin Spice Caramel Wontons would be perfect served at a sit-down dinner or on a buffet line. It’s important to have versatile dishes that can accommodate whatever plans you have. One year while I was in college, I couldn’t go home for Thanksgiving. So I attended a Thanksgiving tailgate on campus, and bite-sized treats like these wontons were in abundance. When planning my holiday menu, I gravitate toward Kraft products from Walmart for my ingredients. 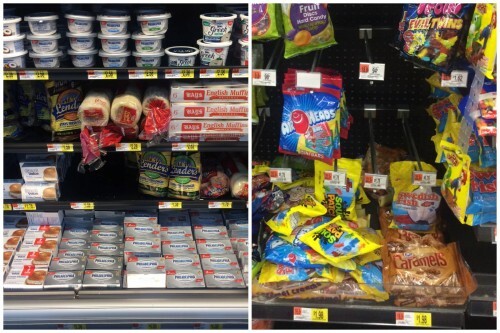 They have everything you need for serving old classics or adding a new twist on a dish. 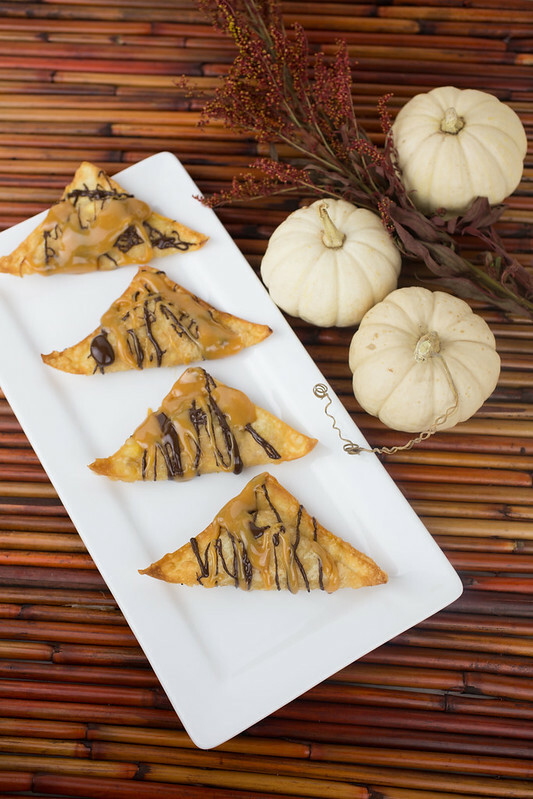 I picked up some Philadelphia Cream Cheese and Kraft Caramels for these Pumpkin Spice Caramel Wontons. In a large bowl, whisk together the pumpkin, cream cheese, pumpkin pie spice and brown sugar. Spoon about a teaspoon of the pumpkin mixture into the center of a wonton wrapper. 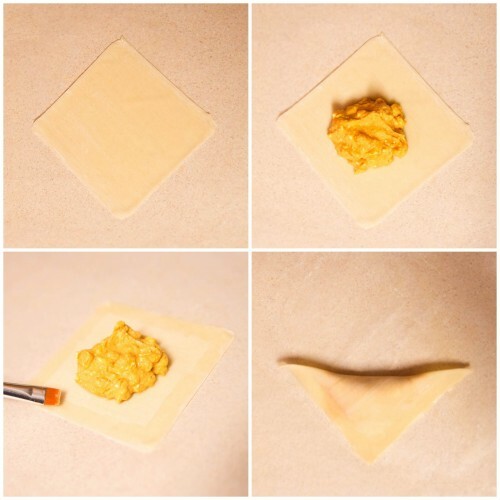 Brush some egg white around the edges of the wrapper, then fold it diagonally and press the edges together to seal. Repeat until the pumpkin mixture is used. Heat oil to 350 degrees F and add the wontons in batches, cooking for 1-2 minutes until the outsides are crispy and golden brown. Drain and allow to cool. 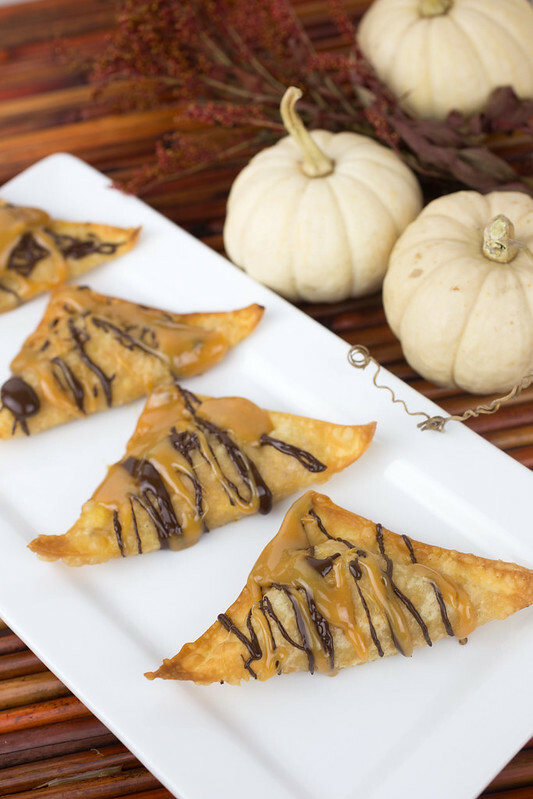 Melt the Bakers chocolate according to package directions and drizzle over the wontons. 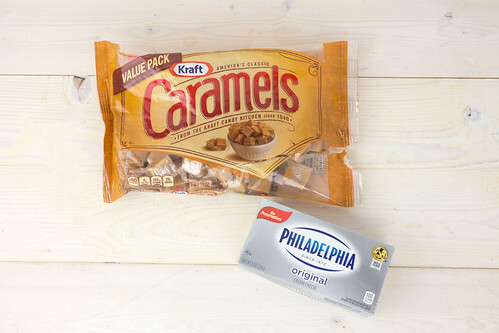 Add the caramels and water to a microwave-safe bowl and heat on high for 40 seconds. 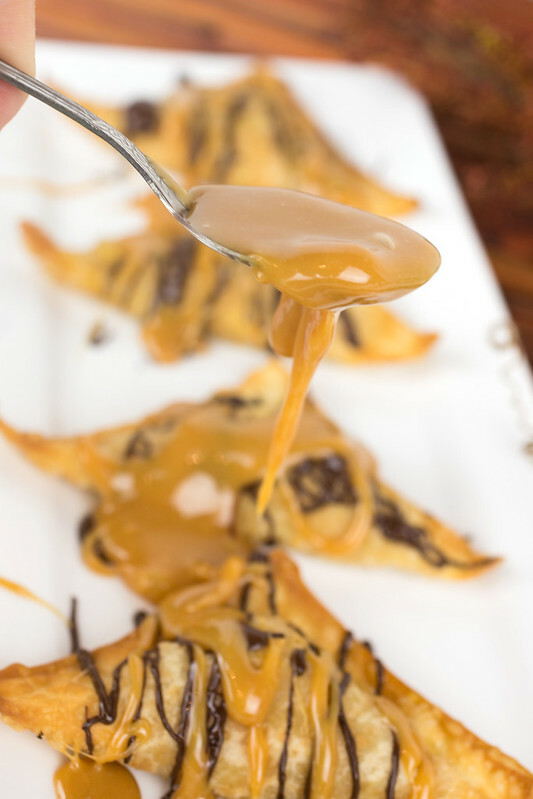 Stir to melt caramel completely, then drizzle over the wontons. Follow SoFabConnect’s board Friendsgiving Recipe Favorites on Pinterest.